Discussion in 'Missing 2010 to 2014' started by CatFancier, Apr 15, 2015. Per law enforcement - Bryce's vehicle was last seen on Aug 30, 2013 driving a beige 2003 Toyota Highlander near Lake Hughes Road in the Castaic Lake area. He was not located with his vehicle and has not been heard from since. NOCLUE, GarAndMo49 and Kimster like this. A former Naperville resident who vanished two years ago in southern California has not yet been found, but his family isn't giving up hope. Bryce Laspisa last spoke with his parents, Karen and Mike Laspisa, at about 2 a.m. on Aug. 30, 2013. The couple has said they think the then 19-year-old was on his way from Sierra College near Sacramento, where he was a student, to visit them at home in Laguna Niguel, midway between Los Angeles and San Diego, where they recently had moved from Naperville. Police found Laspisa's 2003 Toyota Highlander about 5:30 a.m. that day, on its side at the bottom of a 15-foot ravine near Castaic Lake, with its back window shattered. Extensive searches in the weeks and months after his disappearance found no sign of the 2012 Naperville Central High School graduate. NOCLUE, GarAndMo49, MadgeS and 1 other person like this. Bryce haunts me; I so wish he'd be found. DaisyChains, NOCLUE and Kimster like this. DaisyChains, NOCLUE, GarAndMo49 and 1 other person like this. Among those missing is Bryce Laspisa, a 19-year-old college student who disappeared in 2013 during a road trip from Sierra College near Folsom Lake to his parents’ home in Laguna Niguel. Laspisa’s Toyota Highlander SUV was discovered abandoned near Castaic Lake. DaisyChains, NOCLUE, MadgeS and 1 other person like this. DaisyChains, NOCLUE and MadgeS like this. There's been a tip that Bryce was seen holding a homeless sign in Oxnard, California. DaisyChains, spike, NOCLUE and 2 others like this. DaisyChains, spike and Kimster like this. Fans of Investigation Discovery’s missing person series, Disappeared, demanded the true crime network bring back the series, and ID listened. Disappeared returns for a seventh season after a three-year hiatus, focusing on unsolved cases of loved ones who have gone missing, to try to stir up some fresh leads and new information to heat up these cold cases. patsella, DaisyChains, NOCLUE and 3 others like this. The one-hour long “Disappeared” episode dedicated to Bryce’s story, titled “Road to Nowhere,” will air on Investigation Discovery on Monday, April 25 at 7 p.m PST. Click here to check local listings. DaisyChains, NOCLUE, Kimster and 1 other person like this. BUMPING, as Bryce's "Disappeared" episode will air this Monday. 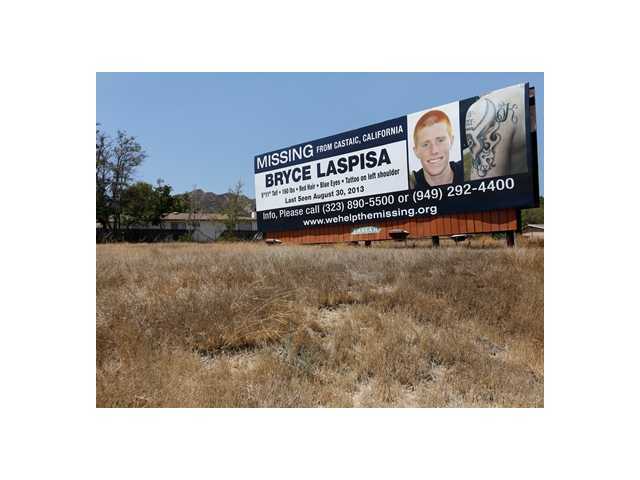 I've often thought about revisiting the disappearance of Bryce Laspisa. The Investigation Discovery series Disappeared does it for me (and the rest of us) Monday night. DaisyChains, rachxbuddha, Kimster and 1 other person like this. It's an interesting case. I still have contact information for someone who worked on the ground for this case. If we have questions, I'll send them a note and see if we're on the right track. GarAndMo49, DaisyChains and rachxbuddha like this. Just finished watching the Disappeared episode. I didn't realize how many times he had been contacted in the Buttonwillow area just before his disappearance. After watching the show, I'm even more convinced he had some kind of a psychotic episode, whether it be the beginning of having bipolar issues because of his age, or because of some of the ADHD drug he had taken. He could very well be alive so let's keep his picture out there! His loved ones need to know what happened. spike, DaisyChains, NOCLUE and 1 other person like this. @Kimster - Did you DVR the show or find it online? I keep checking the Investigation Discovery website but it doesn't look like they have any full Disappeared episodes up except for the first one on Jessica Heeringa. Was kind of hoping they'd upload them all since I don't have cable. spike, GarAndMo49, DaisyChains and 1 other person like this. I watched it via On Demand, which is a cable feature. her car was found wrecked. no sign of her at all. It is not known whether or not she walked away from that wreck to start a new life or if she met foul play. Some reported seeing a woman matching her description at a gas station not long after the wreck if memory serves correct. I hope Bryce is alive and is only missing b/c of some sort of breakdown and that he did not accidentally lead himself to death or meet foul play at the hands of another. Though I think there is more evidence to suspect Leah ran away in contrast to Bryce's case. Still I'm 50/50 on what happened to Bryce. GarAndMo49, MadgeS, Kimster and 1 other person like this. I first thought he left on his own, now I'm not sure. GarAndMo49, Kimster and DaisyChains like this. When an unidentified body is found in Los Angeles County, Karen Laspisa phones a detective. The mother questions the investigator, inquiring about the whereabouts of her son Bryce and if the corpse found was her boy. For three years, the answer has been no. Surrounded by mostly dead vegetation and golden tumbleweed, a newly erected billboard in Castaic still tells the story of how the lives of two parents were paused in 2013.
patsella, spike, Kimster and 2 others like this. A human skull and teeth found 10 weeks ago in a hilly rugged stretch of terrain near Templin Highway are not those of Bryce Laspisa who vanished four years ago. When investigators revealed in May that they hoped dental work would lead them to the identity of victim, they received calls from the families of missing people, Ed Winter, spokesman for the Los Angeles County Department of Medical Examiner-Coroner, said Wednesday. One of those calls to the coroner’s Special Operations Recovery team was from the Laspisa family, he said. “The deceased had dental work, Laspisa does not,” Winter told The Signal Wednesday. Next month will mark the four-year anniversary of his disappearance. patsella, GarAndMo49, Kimster and 2 others like this.